Will Counties Support Rep. Reed’s “Property Rights Act” ? Our congressman, Rep. Tom Reed was the Gas/Oil Industry’s go-to-NY-Rep during the 2014 congressional campaign. They donated $198,750 to get him reelected and continue to support their legislative needs. They gave Rep. Reed more money than all of the other New York representatives put together. He was one of the organizers of the Marcellus Caucus in 2011, and became one of its co-chairs. Reed stood his ground on putting poisonous fluids underground to shatter shale at one town meeting after another. The Corning Leader article about Reed’s town meeting in Burdett in August 2011 called it “A contentious gas-drilling debate”. You can safely say that hydrofracking is very important to our congressman’s livelihood. About a month after his re-election in 2014, Governor Cuomo banned hydrofracking in New York State. That sent Reed’s head a-spinning. Two days after the Ban, Reed appeared on the Fred Dicker Albany Talk radio 1300 program. Reed proclaimed that the federal government has the right to over ride Cuomo’s ruling and cited a federal communication law that allows the federal government’s needs supersede local zoning laws dealing with the placement of satellite dishes. Even at that point he was grasping at anything that looked like it might negatively affect our government’s duty to protect us. In January Rep. Reed introduced his “Defense of Property Rights Act” (DOPRA). This legislation, if passed, would give the public the ability to sue any government that makes a decision that reduces their property’s value. The Gas/Oil Industries, Real Estate industry, and Land Owners Associations all endorses this proposed law. Rep. Reed is now enticing farmers to support his proposal. According to the Olean Times Herald, Friday, April 17 our congressman met a few Allegany County farm owners and a Farm Bureau area field director. They discussed the DOPRA and how the State government and the Environmental Protection Agency make decisions that “financially affect landowners”. He added that residents who have valuable resources on their land, shouldn’t have to bare the brunt of losing property value because of a state regulatory decision. I don’t think that Rep. Reed is going ask only Allegany County for support. He will try to find someone from each of the eleven NY 23rd county legislatures to promote his resolution. On Glass Factory Road, in the Town of Geneva, the neighbors are in a legal battle with each other. 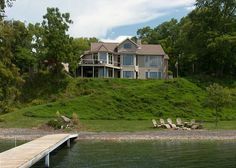 It is a short road with Better Homes and Gardens type properties on Seneca Lake. The area is zoned “Single Family Residential”. A group of residents have complained to the Town’s Zoning Officer that five neighbors are renting their McMansions to groups of noisy partiers–a different group each week from May through September, or longer. One house rents for $425 to $550 a night. If you are interested reading more about the situation here. The Town’s Zoning Code Officer has decided that the renters of these properties are “transients” and therefore the properties do not adhere to the “Single Family Residential” definition. He has ordered that the renting must stop. Those landowners are fighting it. Presently they, as a group, can sue the town because they think the Zoning Code Officer made an improper decision. With Reed’s Property Rights Act they would also, as individuals, sue the Town for the potential lost of revenue because the law is now being enforced. This may seem like an extreme case, but situations like this are not uncommon. Reed’s Property Rights Act is a lawyer’s dream, and a government’s nightmare. Governments will be continuing defending their laws in court, and will be reluctant to create new regulations. I think it is time to present another view of Rep. Reed’s talking points. I spoke with the Clerk of the Yates County Legislature today. There has been no mention of this law to her, yet. She will let me know if it gets on a committee’s agenda. If that happens a few friendly phones calls might open some eyes. Others may want to check with their legislatures to see if they are considering supporting it and attend their meeting to let them know what you think. I believe that if legislatures have their attorney review the Reed’s Property Right’s Act, s/he would recommend not to support it. It is our duty to let our representatives know how we feel. What’s Wrong with Compensating Landowners for their Shale Gas? This entry was posted in 2016, Congress, Constituents, Economics, Education, NYS Government, Reed's Views, Rights, Uncategorized and tagged Allegany County Legislature, Defense of Property Rights, Fracking, Gal/Oil Industry, Glass Factory Bay, property rights, Rep. Reed. Bookmark the permalink. 11 Responses to Will Counties Support Rep. Reed’s “Property Rights Act” ? What would Tom gain from having County Legislatures express support for his bill? It is unlikely that this would influence Congress. Could his intent be to bring pressure on NYS Legislators? Tom needs to learn to stay in his own neighborhood. If he really has such a desperate need to meddle in state affairs, perhaps he would do well to resign and explore a possible run for Governor. Or, you know, just resign. I think debt collector suits him and his intellectual capabilities. Reed seems to be working very hard on this issue for a very small group of constituents, and a very large donor portfolio. What’s in it personally for Tom-in-the-Middle? The more official support he receives would signal that Reed is fighting the over-regulated, big government that takes our property away from us. Those feelings would be aimed toward our governor, which happens to be a democrat. I feel it is all part of his political campaign to increase his base. That’s an interesting and plausible idea. Another possibility is that county legislators are acting independently in supporting Tom’s bill to show their self-interested support for disgruntled landowners. I agree with you. He cares only about enhancing his credentials with his extremist base. What about the towns, cities and villages that have passed resolutions banning ‘ fracking’? If his bill passes, would I be open to sue my village because I live in an area zoned that I cannot turn my house into student rentals? Rep Reed, thought he was for state rights. 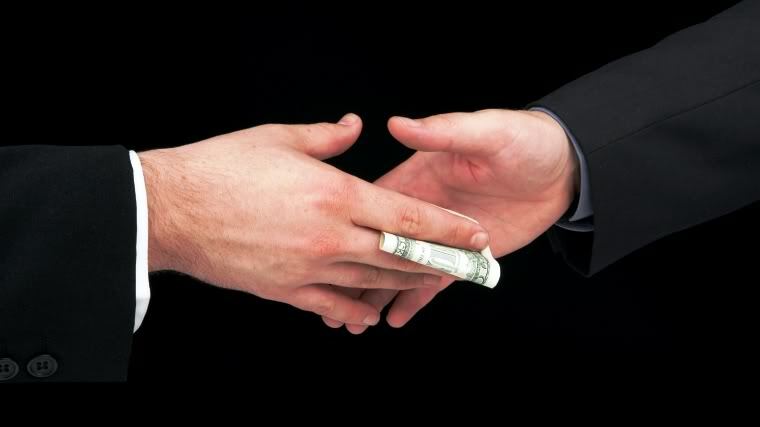 Guess not if it conflicts with his source of bribes, I mean donations. First, the Code Enforcement Officer does not have a leg to stand on. Under this view, all renters are “transients” and this naturally poses a significant problem for the courts. Incivilities between neighbors does not rise to the level of redefining “family.” Ridiculous. Secondly, almost all of the white males in the Allegany County Board of Legislature are members of the Independent Oil and Gas Association of NY and attend with Tom as a special guest of the Oil and Gas Producers banquet every year. All own vast and I mean vast mineral rights in ALLEGANY County. In Fact, the county itself owns quite a bit of tax exempt property too. No conflict of interest there. Thanks for sharing the low-down on the Allegany County Legislature. Maybe the other counties see the DOPRA in a different light. I will keep you updated on the Glass Factory Bay case. A judge found the definition of “transient” to mean living in a place similar to a hospital or hotel, and asked the Zoning Board of Appeals to compare the Gas factory Bay situation to those types of facilities. At least some of the renting landlords live outside of New York State, and consider their “Lake Homes” a business. They are trying to an compromise of some sort. Thanks for the information, Bob. That probably means that the Town of Geneva will have a lot of lawsuits if Rep. Reed’s Defense of Property Rights Act is passed. Another way to weaken government. I know you have complained of the churches and the library that you live near.